The 2017 FIFA U-17 World Cup will witness 24 teams from 6 confederations taking part in the mega event. Kolkata: A 21-member Iraq national team and United States football arrived in India for the upcoming FIFA U-17 World Cup commencing October 6. Iraq team coached by Qahtan Jathir and six support staff checked in here in the wee hours on Monday. They landed at 2.15am by a Qatar Airways flight before being escorted to the team hotel by a tight security cover, a local team official said. Making a comeback after their only appearance in the UAE-2013, the Asian champions will face Mexico in their group F World Cup opener at Saltlake Stadium on October 8. Mexico and Nigeria, the teams that eventually claimed first, second and third place in the tournament. 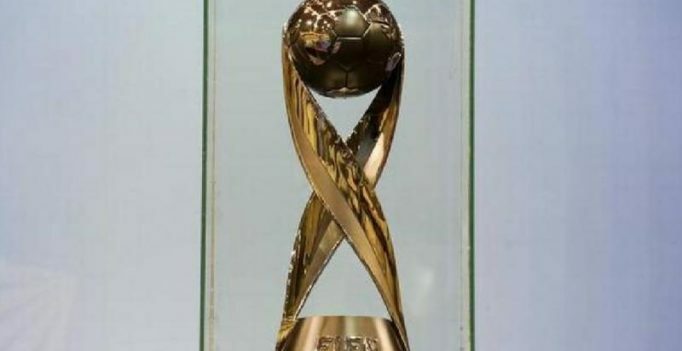 Iraq emerged victorious from the 2016 AFC U-16 Championship, defeating Iran in the final to become Asian champions for the first time and qualify for the tournament under the guidance of their coach Qahtan. All eyes will be on 16-year-old Mohammed Dawood who led the turnaround for their historic feat in 2016 after they had failed to find the net in the first two matches. He made a welcome breakthrough against Oman in Iraq’s final group-stage match, and then struck a brace against Uzbekistan in the quarter-finals and a hat-trick versus Japan in the last four to emerge top goalscorer and player of the tournament in the 2016 AFC U-16 Championship. Midfielders: Habeeb Mohammed, Saif Khalid, Mohammed Ridha Abbas Ali, Bassam Shakir, Mohammed Ali, Moamel Karim, Ahmed Sartip. A 21-member United States football team has arrived here to play in the FIFA U-17 World Cup, beginning on October 6. The team, coached by John Hackworth, landed at the Indira Gandhi International airport at around 10pm last night and straightaway proceeded to the team hotel. The US team came from Dubai where they had a seven-day camp, preparing for the U-17 World Cup. The USA are in Group A along with hosts India, Colombia and Ghana. They will open their campaign against India on October 6, followed by matches against Ghana on October 9 and Colombia on October 12. The first two matches will be played at Jawaharlal Nehru Stadium in New Delhi, while the final group game will be played at the DY Patil Stadium in Navi Mumbai. The US Soccer Federation had named 17 players who were part of the team that played in the qualifying tournament 2017 CONCACAF U-17 Championship in April — in which it had finished second. Prominent players in the team include Josh Sargent and Tim Weah. Sargent will sign with Bundesliga club Werder Bremen next February when he turns 18. He also played at the U-20 World Cup in Korea earlier this year, making him the first US player since Freddy Adu in 2003 to play in the U-20 and U-17 World Cups in the same year. Weah, son of former FIFA World Player of the Year and Liberia great George Weah, signed with Paris Saint Germain earlier this year. In all, 12 of the 21 players on the roster come from Major League Soccer clubs. The Americans reached the quarter-finals on four other occasions, most recently in Peru 2005. Last time in Chile in 2015, USA failed to emerge from the group stage for the first time since 2001. Defenders: Sergino Dest, Christopher Gloster, Jaylin Lindsey, James Sands, Tyler Shaver, Akil Watts. Midfielders: George Acosta, Taylor Booth, Christopher Durkin, Blaine Ferri, Chris Goslin, Indiana Vassilev. Raveena Tandon Actress Raveena Tandon will now champion the cause of environmental protection and conservation, as the brand ambassador of the Sanjay Gandhi National Park….